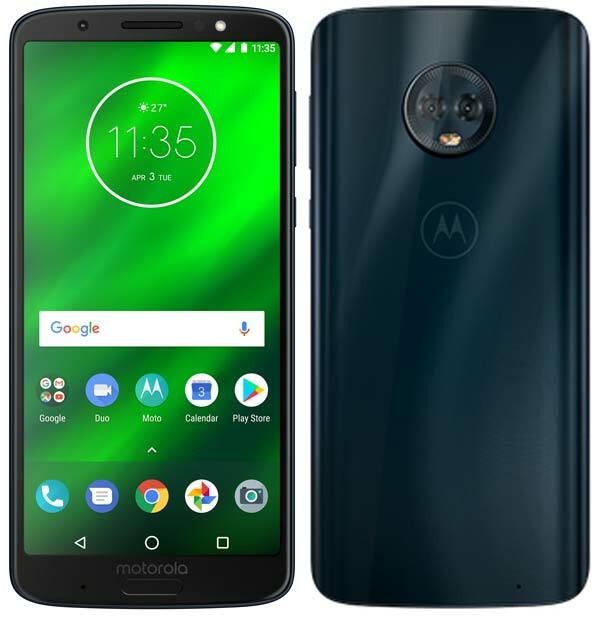 After launching Moto G6 and Moto G6 Play, Lenovo-owned Motorola launches high-end Moto G6 Plus in India. Most of the technical specifications are the same as the Global variant except the front camera. The Global variant of Moto G6 Plus has 8MP rear camera wherein the Indian variant has the 16MP front camera. Also, there is No NFC in Indian variant of Moto G6 Plus. In India, Moto G6 Plus comes with 6GB RAM, Dual SIM support and also supports MicroSD up to 256GB. The Moto G6 Plus sports a 5.9-inch Full HD+ Max Vision display with an aspect ratio of 18:9 and powered by the Qualcomm’s Snapdragon 630 Mobile Platform with a Turbo-powered 3,200mAh battery. For imaging, the rear camera has a 12MP+5MP dual camera setup with LED flash and also supports 4K video recording. It runs on Android 8.0 Oreo out of the box also upgradable to Andriod Pie in the coming months. Moto display – Get a quick preview of notifications without unlocking your phone. The Moto G6 Plus is offered only in Deep Indigo color and exclusively available online via Amazon.in and also through Moto Hub stores across India at ₹22,499.